Help Spread the Word About FENS Forum 2020. Please find here the FENS Forum 2020 promotional toolkit with online and offline materials. 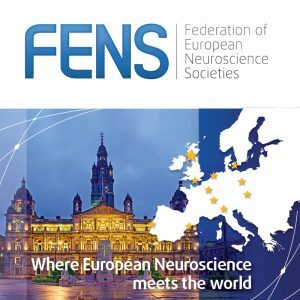 Invite your peers and colleagues to join you 11-15 July in Glasgow for the latest edition of the FENS Forum. Please find a selection of official web banners. Add to your website, event calendar and email signature to effortlessly let people know about the Forum. 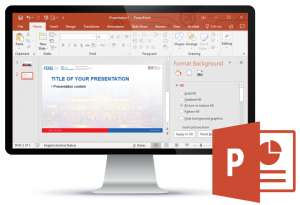 Please find the official Fens Forum 2020 PowerPoint slide templates, that you can use when giving presentations. 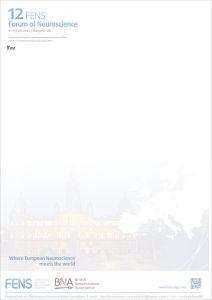 Please find a link below to download the official Fens Forum 2020 letterhead template. Please find below various files for Fens Forum 2020 printed adverts. Our social media accounts are an excellent way to interact in a clear and user-friendly manner with anyone interested in neuroscience. Connect to us on the below platforms and share content from FENS Forum 2020 with your network of colleagues. Read more on our social media policy here.